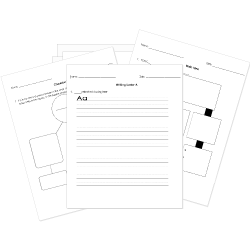 You can create printable tests and worksheets from these Grade 3 Autobiography and Biography questions! Select one or more questions using the checkboxes above each question. Then click the add selected questions to a test button before moving to another page. Your teacher is reading to you out of a book with the title, "The Life of Rosa Parks", written by John Smith. She asks if the book is a biography or an autobiography. Which one is it? If you pick up a book with the title, "How I became Honest Abe", written by Abraham Lincoln, you know that this book is . An autobiography is a story that a person writes about their own life. A biography is a story about a person or person's life that is written by someone else .